Our page features space simulation games like Star Citizen where you’ll explore a vast galaxy, engage in combat, mine for resources and trade to wealth. 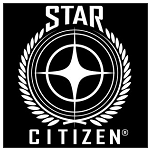 Star Citizen is an upcoming space title that intends to offer a high quality space simulation experience with both single player and multiplayer variants. Taking place in the 30th century the game explores the Milky Way under the control of the United Empire of Earth (UEE). Central to the UEE is the idea of citizenship which is earned through military service and bestows a number of benefits. The pillars of gameplay that Star Citizen plans to focus on include trading, combat, exploration and eventually even first person shooter elements within a single MMO title. All of these features will have a sandbox focus that sees players driving the economy and the persistent game universe. Regardless of the path players choose to take in the universe of Star Citizen you’ll find your wealth increase over time as you complete objectives and invest said currency into ship upgrades. The games like Star Citizen below are all available to play now, making them ideal games to play while you wait out the release of Star Citizen. These titles mix single player and multiplayer adventures that focus on exploration, combat and trading across a massive universe of planets.